The 2018 FIFA World Cup Russia kicks-off this Thursday, 14th June, with the finals on 15th July 2018. The biggest sporting event of the year that’s not to be missed! 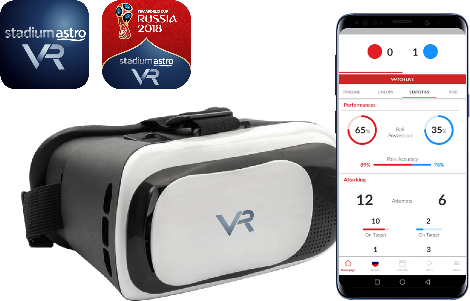 Astro, as the official broadcaster, is taking it to the next level, bringing World Cup experience on all screens and in VR. All these coupled with @stadiumastro Twitter for ‘near live’ highlights for fans to share & converse to make it the most digital, engaging and interactive FIFA World Cup. 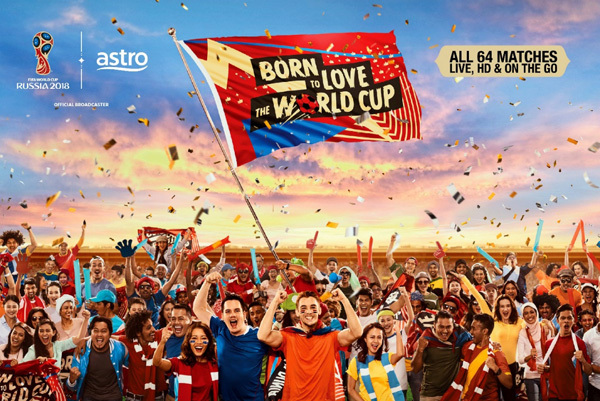 World Cup Channel Pass RM120 Enjoy all 64 LIVE matches on Astro GO via two dedicated FIFA World Cup channels.